Can't get over that hit. What a strike. The price we paid for this guy was absolutely outrageous man. My goodness. How? You couldn’t really design a better 3 than we’ve got at the moment, superbly balanced. I think that was the best individual performance by any Newcastle player this season tbh. Brilliant all over the park and a sensational goal. What about when he scored twice and owned Cardiff in defense? Fair shout; didn't see that one tbh. Bold call - if we get a free kick 20-25 yards out, fairly central, is it work laying it off to him a la Nobby/Shearer? All for him getting three or four thunderbastards a season. Had a few dances off her when I've been in Blue velvet with friends. She's one of the ones who will push her fanny in your face, usually I like that but hers smells f***ing rotten. Only had dances off her because she agreed to take less money for the dances when me and my mate said we were skint. Between that and Rondon at Huddersfield for me. Both assists from Manquillo too. Stick with Ben Scharfa, Albert will always mean a lazy lob-in to me. Which, granted, did happen tonight. Another outstanding performance tonight. The strike was just outrageous, a cult hero in the making! We have a perfect set up right now with him and Lejeune the two footballing centre-halves who can advance forward, pass and spread play either side of the good old fashioned no-nonsense centre half in Lascelles. Harsh on Fernandez who seemed undroppable earlier in the campaign but you just can't break up that three on our current run. Fernandez > Lascelles imo, ability wise at least. Not only the goal which was just outrageous, but was it Schar who pinged that 80-odd yard pass to Ritchie? Couldn't f***ing believe that - pretty much a peak-Shelvey pass. With Schar and Lejeune in the team there’s absolutely no need for Shelvey. Pretty much, the was we are currently setup makes Shelvey obsolete. Shelvey needs time to get back to the fitness levels he was at least season. And his ability to play balls over the top is still a huge weapon, he just needs players in front of him who can take advantage of that skill. 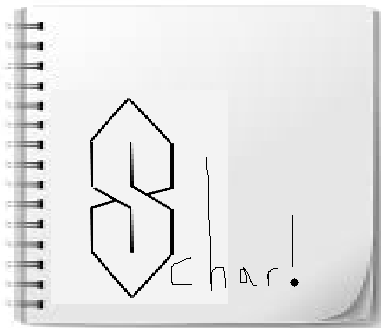 I want to know what Rafa wrote in his notepad after Schar scored. Page created in 0.389 seconds with 23 queries.